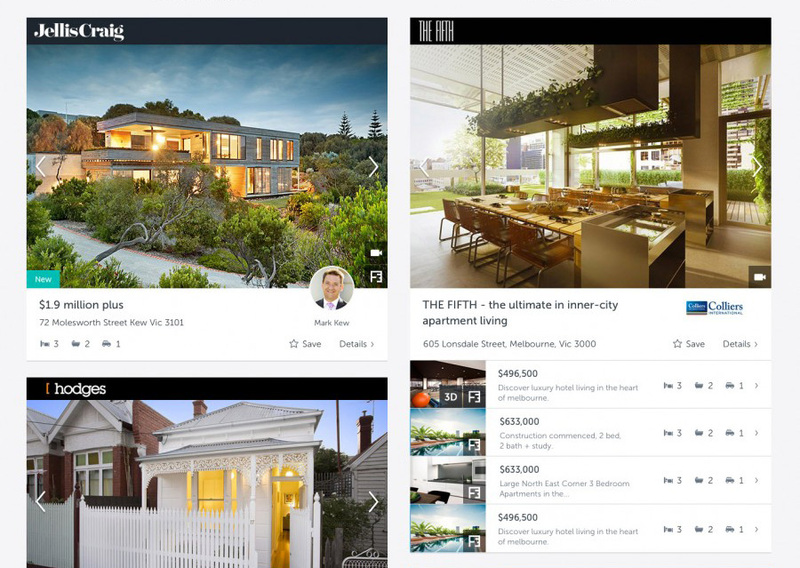 During mid 2015, we conducted a design sprint, and agile development process to uplift the look and feel of the property listings on the realestate.com.au website. This is part of an ongoing initiative to improve the value we provide to our customers. We set out to significantly uplift the look and feel of the search results screen on our desktop website. The solution must impress and delight REA Group’s customers, and reflect a real increase in real and perceived product value. A two week timeframe was scheduled to think, plan, and design this solution. 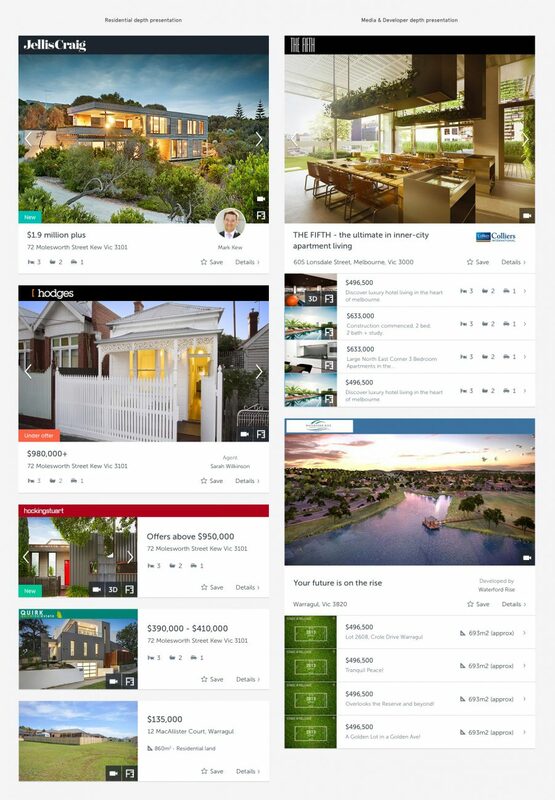 I worked closely with the product manager and initiative team to understand, formulate, design and produce a design for the search results screen. As the primary designer assigned to this work, I took the lead in defining a new aesthetic and visual layout for the page. I wove together references and inspiration from earlier concept work in the design team, and responded to local market trends. An important part of my process was the socialisation, discussion and group critique I conducted with the residential design team. In conjunction with the head of design, I facilitated design presentations, updates and reviews with the wider initiative team on a daily basis. We communicated the objectives, benefits, features and compromises of our new design, and successfully negotiated sign off for the work. The outcome of the design stage of this initiative appears to be successful. The development was completed in late July 2015, with immediate improvements to engagement, time per session, and property views per session. Sharing and saving activity also increased.